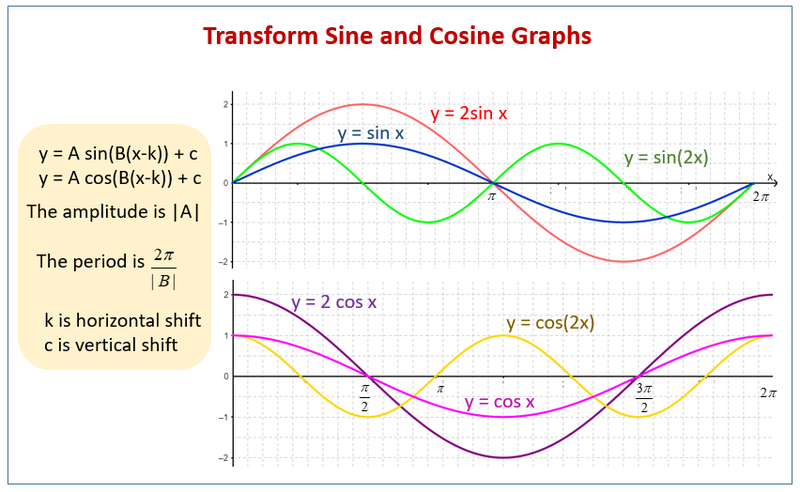 The following diagram shows how to transform sine and cosine graphs. Scroll down the page for more examples and solutions on how to graph sine and cosine functions. State the amplitude and period of each of the following functions.